We have our first international winner of the Eco Child’s Play hemp bag giveaway! EcoMum blogs from New Zealand. 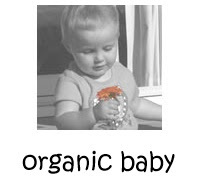 She writes Organic Baby Blog: “If you are pregnant or planning a child, it can be a time-consuming task to search many web sites to get the information you need about organic baby food, baby gear, clothing, nappies and other natural parenting issues. By using organicbaby.co.nz you will get all this information in one place and the ability to browse our “where to shop” directory for suppliers all around New Zealand.” Congratulations EcoMum! It’s a new month, so a new giveaway has begun! Leave a comment on any of our posts, and you are automatically entered to win an Eco Child’s Play hemp shopping bag. Of course, you can always buy your own hemp shopping bag at ReusableBags.com.